I'm Jessie and I'm a serial plant killer. Okay, I'm not really that bad, but I do have couple plant friends that I've lost horribly along the way. For whatever reason in my last house, I neglected to get many plants — the ones I did have were air plants and my veggie and herb garden out back. But now that I'm in my new home, I've been going a bit, er, plant crazy. I'm a sucker for succulents and cacti. One of my coolest plants (my personal opinion) is a devil's backbone. And, despite my mother's protest, I adopted a Mother-in-Law's Tongue. I do have a nice amount of room fire escape where I'll be able to plant some herbs come spring! How about you? 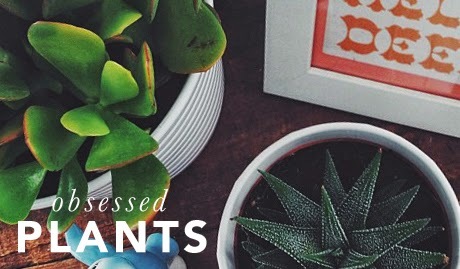 What are your favorite plant friends?